This entry was posted in Baseball, Feature, Transit, Travelogue. Bookmark the permalink. Dodger Stadium has held up well after 50 years. Unlike the Coliseum, which clearly has not. That was a 36,000 person crowd? Wow,must be tickets sold.I have been watching the MLB package,and noticing small crowds in a number of Ballparks.Cleveland has been very sparse and even some Yankee crowds look quite small….great shot of Dodger stadium at sunset ML. @Dan – Here’s the pic of the 2nd/3rd inning crowd. @Robo – Thanks! That’s why they call it magic time. @Larry E – It’s been an unseasonably late winter throughout much of the country. A similar phenomenon happened last year as well, yet overall attendance ended up over 2010/2011. As for the Cisco Field – it’s only smart to keep it relatively small. I keep having to delete a certain commenter’s comments. It makes more sense to ban him for a while. Never been to Dodgers Stadium (on my bucket list), but while it is older than the Coli it appears better designed for baseball; not as round, less foul territory. What are the concourses like RM? Concourses are about the same as at the Coliseum, except the lines aren’t as slow. I guess they took out the back two rows in most levels but that’s not enough to make that much of a difference. The main difference is that there are 4 concourses instead of 2, so they are far less crowded. The indoor ones are not much brighter than the first level of the Coliseum, and are painted cinderblock walls instead of concrete (whoopdee whoop). nota bene, well, ot, but brief: the final challengers to the high-speed-rail EIR in the central valley settled yesterday. (Their hearing would’ve been today.) So now construction will get going. The first segments will run from Bakersfield to San Jose. The big 225 mph trains will stop at the Diridon station. (Yes there are additional legal challenges pending, but don’t hold your breath on those. We’re talking huge employment on this project — overall, the biggest public works project in Calif. history.) nb over. Good observations from ML about Dodger stadium. The lack of a large security presence likely is that the Dodger opponent was not the Giants though – the Dodgers don’t have that problem with other teams. Even though there is less foul territory, if you’re not in the premium seating on the lower level you’re not any closer to the action than at the Coliseum (this is a good pic that shows how far away the upper levels are: http://2.bp.blogspot.com/-lMRYDk99CfE/TaUgrPi-pHI/AAAAAAAAAIs/mkWXJ2ELWng/s1600/DodgerStadium.jpg ). That’s just how stadiums were built back then. Really the only thing that makes the Coliseum worse than Dodger Stadium is Mt Davis, IMHO. 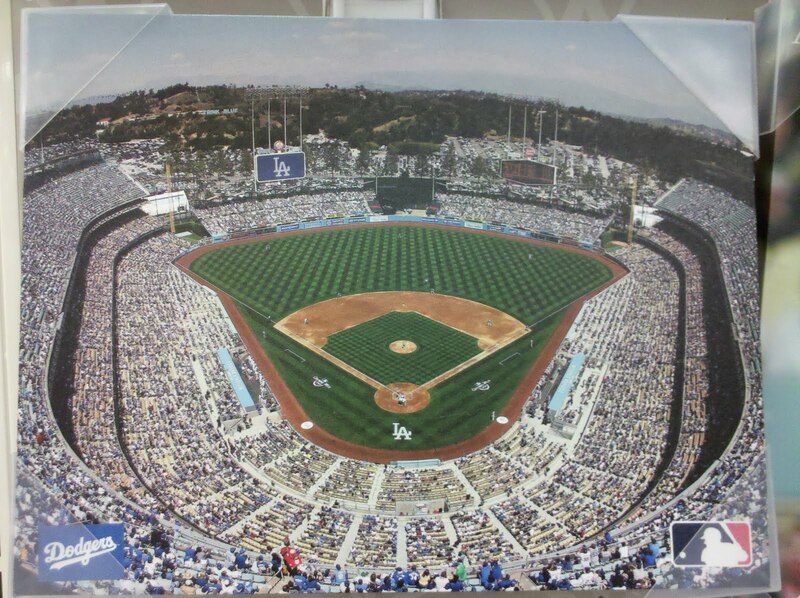 But I seem to be one of the rare few who think the Dodgers need a new stadium. I’ve sat in each deck of Dodger Stadium except Field Level. The height/distance from the action can be vertigo-inducing. That said, it’s still an enjoyable place to take in a game. Like any great ballpark, it’s more than the sum total of its parts. I’m seeing the A’s in Anaheim this summer where I hope to go on the Dodger Stadium tour while I’m down there.